Grapes of Wrath got their start when Kevin Kane met Tom and Chris Hooper in Kelowna, BC in 1977. After making punk music for several years, both together and separately, Grapes of Wrath officially formed in 1983. They started producing a unique folk-pop that caught the attention of music fans and radio programmers alike, especially with the 1987 hit "Peace of Mind" from the Tom Cochrane produced Treehouse. 1989 saw the release of their biggest album, Now and Again with singles "All The Things I Wasn't" and "What Was Going Through My Head". 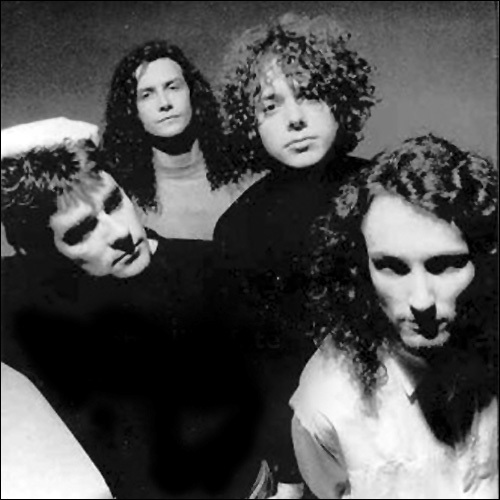 These Days came out in 1991 and featured singles "I Am Here" and "You May Be Right". Kevin Kane left the band in 1992. Starting in 2010, the band played together again, touring and releasing High Road in 2013. They create cool, easy-listening pop tunes with the most classic of influences. I saw them live at the Ontario Place Forum back in the day. Unfortunately, it was one of those "It's not the band I hate, it's their fans." I was actually turned off by so many screaming teenage girls at the show. As the cliché goes, you couldn't hear the band. Pic from Grapes of Wrath.